Wm. Dyck & Sons is a family owned business that was founded in the early 1950’s by William W. Dyck and is currently owned by Carl Fast, grandson of Mr. Wm. Dyck. The roots of Wm. Dyck & Sons actually go back to the late 1930’s when Mr. Wm. Dyck immigrated from Russia after losing his farm to flood, drought and grasshoppers. He arrived in Niverville in June 1938 with his family and 300 beehives. On the strength of a handshake, a local business man, Mr. Bronstone, gave Mr. Dyck credit to purchase lumber and build a house to accommodate his growing family as well as his beehive operation. Mr. Dyck survived on the income from the bees and any other work he could find. Mr. Dyck was an enterprising man and when hydro came to Niverville, he was eager to make use of potential business opportunities. He invested in two chick incubators in spite of the skepticism of many farmers. Mr. Dyck’s foresight was rewarded and the next year he was already purchasing six more incubators. The “hatchery” moved in with the bee-keeping facilities but as time passed, the hatchery business grew and the bee-keeping died out. When the need arose, Mr. Dyck purchased a few acres of land at the corner of Main St. and 5th Ave in Niverville. He also purchased a non-producing cheese factory, moved it on to this site and transferred the hatchery into this building. 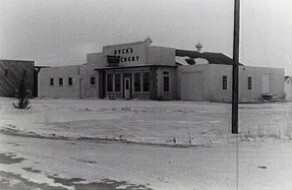 The business was then known as “Dycks Electric Hatchery”. This is still the site of the present day Wm. Dyck & Sons (1993). The hatchery business was seasonal in those days and this left a lot of idle space when the hatching equipment was not being used. Mr. Dyck used this space for selling poultry hardware and other farm related necessities. As this venture also proved to be successful, the business expanded to include more hardware and building products. As the years went by, contracting was also added to the business. In the early 1950’s Mr. Alex Fast, son-in-law of Mr. Dyck, became a partner in the business and eventually became the sole owner after Mr. Wm. Dyck died in 1971. The hatchery business was also booming and required more space. A new hatchery was built across the street from Wm Dycks and that part of the business was moved into there. In 1968 the hatchery side of the business was sold to Ogilvie Flour Ltd., then a subsidiary of Labatts Brewers. The retail building supplies and contracting part of the business remained at the same location and the name was changed to “Wm. Dyck & Sons (1968) Ltd.”. As time went by, the need for new facilities became more and more apparent. The sale of farm equipment was moved into a separate building on the same yard and later sold to Feedrite in the early 1980’s. A new building was undertaken for the retail building supplies and contracting business and the official grand opening ceremonies took place on June 18, 1976. This is still the building which houses Wm. Dyck & Sons (1993) today. Again, time passed and as Mr. Alex Fast’s family grew, two of his sons became very involved with the running of the business. When Mr. Fast Sr. officially retired in November 1993, these two sons took over with the business. 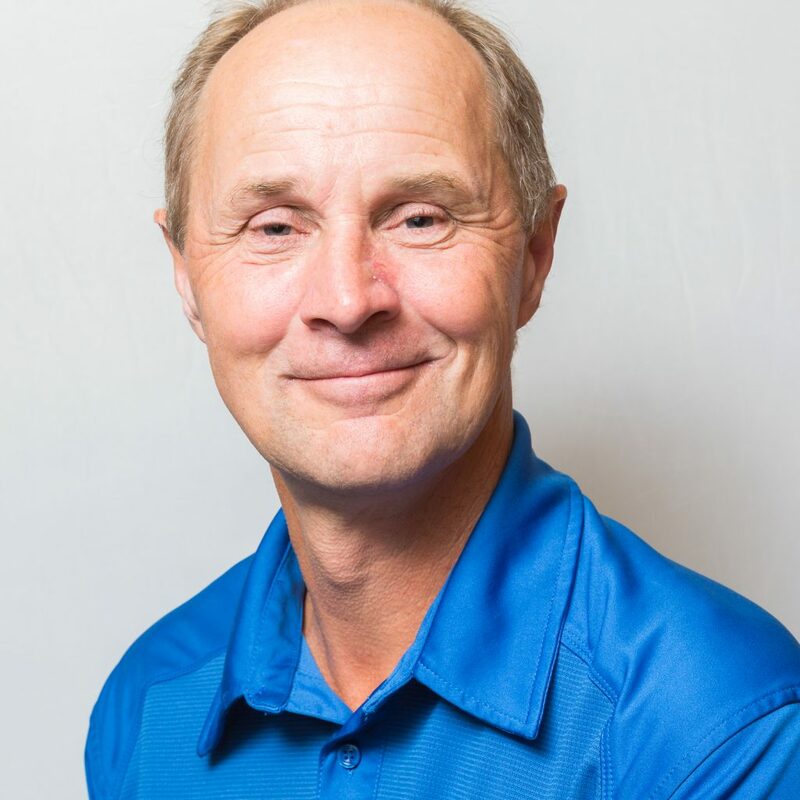 Alex Fast Jr., Mr. Fast’s second son, took over the contracting interests of the business and now operates under the business name of “Von Ast Construction”. The retail building supplies aspect of the business was sold to Mr. Fast’s youngest son, Carl Fast, and now operates as “Wm. Dyck & Sons (1993)”. Currently, Wm. 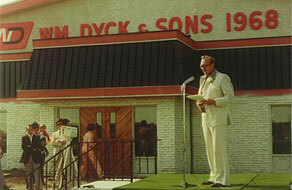 Dyck & Sons (1993) is owned and managed by Carl Fast. 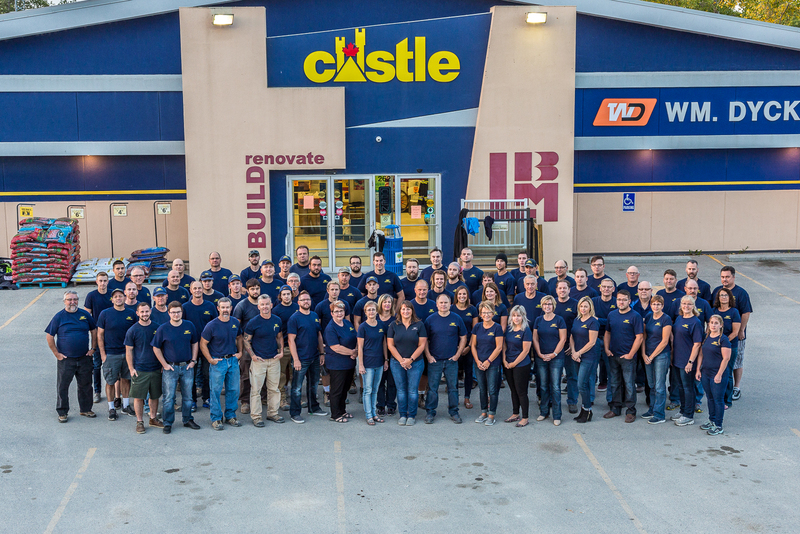 The company continues to grow and in 2015, opened a 9000 sqft retail flooring centre on the same property. They have also added a distribution center just outside of Niverville to handle all building material deliveries. 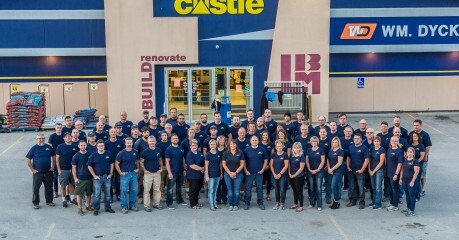 The business serves customers in communities around Niverville, across Manitoba and into Ontario.